The question of accreditation and standards for courses to Teach English as a Foreign Language (TEFL) is frequently raised and can be one of the most confusing issues confronting those searching for a quality and reputable certification course for teaching English abroad. What kind of TEFL course do I need to take to make my dream of teaching English abroad a reality and what is accreditation all about? Why are the majority of TEFL schools offering a 4 week (20 day) full-time course for $ 2,000 yet others are offering some schools offering a two-day weekend class for $ 350? What's up with those Groupon TEFL classes offered for $ 69 and are those just as good as the expensive classes? What is legitimate and what is not? International TEFL Academy believes in full transparency and seeks to demystify the TEFL industry and fully educate those wishing to teach English abroad. We hope to empower you to make the best quality decision regarding which TEFL school to choose and receive the highest standards of training to make your dream of living and teaching abroad a reality. (See the International TEFL Academy Vision Statement). 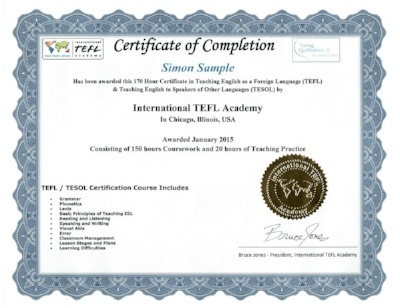 Why is it important to hold an accredited TEFL certification? Reputable schools around the world will not typically hire English teachers who do not hold an accredited TEFL certification. Accreditation ensures that your certification course meets quality standards in the level of instruction, the quality of the curriculum, inclusion of a practicum, extent of training and other areas. It ensures that the TEFL certification you earn is independently reviewed and monitored by recognized experts in the field to maintain the quality of the program. At the end of the day, you will work as a professional English teacher giving 5-6 classes to as many as 50 to 100 paying students a day who have put their trust in you to train them to teach English to improve their lives and to enhance their educational and professional opportunities. If you care about your future students, you will seek to receive the professional TEFL training you need to become a professional-level English teacher. What are the basic standards for an accredited TEFL certification course? There is no one single organization that is universally regarded as the official accrediting body for TEFL certifications. However, reputable accrediting bodies, language institutes, ministries of education and recognized bodies within the field require that accredited TEFL certifications meet certain standards. Side note: You may have heard of the British Council, which claims to be "the world's largest English language teaching organization". There are 70 British Council Teaching Centers in 53 countries that provided 1,189,000 hours of instruction to 300,000 learners in 2006/07 (last known date of statistics). Note: The British Council does not accredit TEFL schools nor give endorsements. 3) Externally validated by a reputable examination body (usually a university or a recognized examinations board) and/or accredited by a national accrediting body such as Ofqual in England (or Department or Ministry of Education in other countries). 4) Course instructors hold at least a Master's Degree, Dip TEFL or Dip TESOL (British course level), or DELTA. The background should be in TESOL, Linguistics, Education with ESL emphasis or an equivalent amount of training; experience with at least 8 years teaching in and international context is also accepted. Meeting the standards listed above should be one of your top criteria when selecting a TEFL certification to professionally teach English abroad. NOTE: There are many TEFL courses that do not meet these standards. Classes not taught by university-level instructors with extensive credentials and English teaching experience. Those courses will not be properly accredited and the certifications they provide through their courses will not be recognized by the vast majority of reputable language schools around the world. While any training is better than no training, taking a course that is not accredited will limit your job opportunities teaching English abroad. 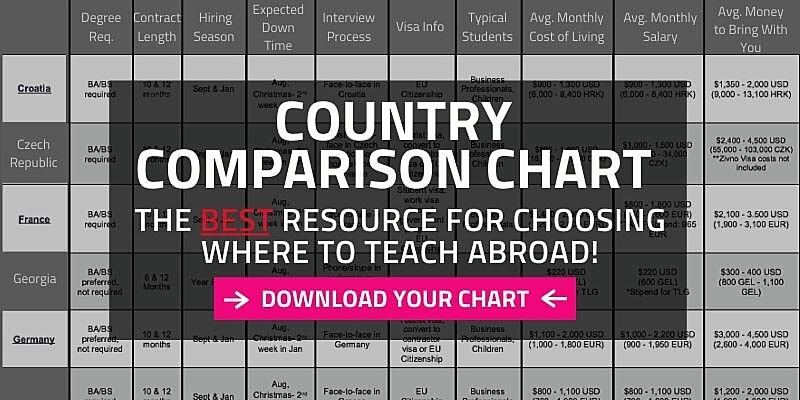 TESOL.org is the world’s largest ESL organization and also recognizes 100 course hours and live student teaching as standard requirements for a professional TEFL certification. What are Some Notable Accrediting Bodies? Some (but not all) internationally recognized bodies for TEFL certification include TQUK, ACCET, IATQuO and universities (as part of their formal curriculum) such as Cambridge University (UCLES) for their CELTA course and Trinity College for their Trinity Certification. Many language schools and institutes in Europe that employ English teachers use the U.K.'s national system of accreditation. In the U.K., the system of rankings are used for TEFL and other credit and non-credit bearing courses. The Office of Qualifications and Examinations Services (Ofqual) maintains a ranking system known as the Qualifications and Credit Framework (QCF). Rankings are 1-8 based on content and hours. Level 4 is the standard of a 100 hour TEFL class with 6 hours of practicum and is typically the equivalent of a freshman level university course. By comparison, Level 8 is the equivalent to PhD coursework. TEFL/TESOL accreditation begins at Level 3. Such a class may incorporate 100 hours or training, but no practice teaching, and will be used primarily for volunteer work. Level 3 on the QCF scale is eqivelant to a high school level class (in the US system). Level 4 and 5 are the professional levels sought by most prospective employers including the British Council, and will include live practice teaching and at least 100 hours of coursework. A level 4 and 5 would be equivalent to a university level class for a first or second year student, e.g. 101 or 201 level class. A level 5 class also has a distinction of requiring at least 168 hours of guided classwork. 170 Hour TEFL course: 150 hours content, 20 hours practicum. TQUK Accreditation, QCF equivalent Level 5. This states the number of content hours and student teaching, accreditation organization and the oversight company giving legitimacy for the content hours. In Europe, in particular, some schools or countries that are familiar with the British system may require a QCF Level 4 or 5 certification to employ English teachers professionally. Do TEFL certification courses need to be ranked and accredited in the U.K.? A TEFL certification program does not need to be accredited in the U.K. by the British grading system as the majority of TEFL schools are not UK based. As long as it meets the internationally recognized standards for hours of coursework, practice teaching, and qualifications of instructors, and as long as it employs a curriculum that is externally accredited, a TEFL certification course can provide you with the internationally recognized credential that you need to teach English abroad. Is a TEFL class offered at a university accredited? It depends — if a TEFL training class is given for academic credit at an accredited university and fulfills the international standards regarding coursework and the incorporation of live practice teaching, it will likely be recognized as reputable. The certificate should also be externally validated by a reputable TEFL organization. Be aware that just because a TEFL class is held at a university classroom, does mean that it holds the accreditation of that university or that it is any way endorsed by it. Some independent TEFL schools operate “roving” TEFL classes held around the country and very often, they simply rent a classroom over the weekend and use the university name, i.e. TEFL certification at University of Kansas. This implies the university is running the class which it does not. When inquiring about classes offered at universities, ask directly if the university actually runs the class and if it is listed on the official university website. Some universities may offer a TEFL class as a non-credit course in their adult education program. These courses may or may not be endorsed by their ESL departments or meet international standard; it is something to investigate. TEFL programs whose certifications are accepted for graduate credits at universities offering a Master’s Degree in TEFL/TESOL should be considered credible. While this is not the same as an accreditation, these matriculation agreements prove the university department has examined and signed off on the coursework and that the university considers it valid. Make note that some MA programs do not incorporate live student teaching, which is considered vital by most schools and language institutes around the world seeking to employ English teachers. In conclusion: Any serious TEFL certification program held on the premises of an institution of higher learning should have a direct affiliation with that institution and/or be independently validated by external bodies within the field of TEFL. Furthermore, if there is an ESL Department, that department should vouch for and/or guarantee the quality and academic credibility for the program. What IS NOT an accreditation? Many TEFL organizations will list and post logos on their website of organizations and educational bodies for which they hold a “membership”. This in itself is completely legitimate showing professional associations, but such memberships and recognitions are not the same as holding a valid accreditation. Be aware that many TEFL schools without accreditation will list all of these logos with the intention of implying that their course is accredited (as the potential student will probably be satisfied with a lot of professional looking associations). You must be aware that memberships, endorsements and recognitions are NOT the same as accreditation. A school or company will become a member of a group simply by paying dues, such as receiving the monthly magazine subscription to the organization – it has nothing to do with their course being independently validated or meeting the standards of accreditation. Also, note that the Better Business Bureau in the U.S. also does not “accredit” TEFL certification courses. Their use of the term "BBB Accredited" is for their purposes of a BBB accredited business which is a paid membership in their organization for review which has nothing to do with the field of education. Examples: Being a member of TESOL.org is not any endorsement whatsoever. Being a member of NAFSA is not an endorsement or accreditation. An organization may offer a "membership subscription" and also an accreditation, but there is a big difference. Some governments maintain official standards for certification to teach English in that country. The Canadian government TESL Canada maintains strict guidelines regulating TEFL/TESOL (they use the term "TESL") certifications to teach English domestically in private language schools. This is an approved list of TEFL schools in Canada that offer certifications that will qualify you to teach in specifically in Canada (in addition to other citizenship requirements). This does not mean other TEFL schools in Canada do not meet the international standards to teach abroad but the requirements are very similar to the British Council's. State boards of education in the US do not accredit TEFL certification courses for teaching English abroad. Most private language schools in the U.S. seek to employ experienced teachers and many will recognize an internationally accredited TEFL certification course and will value international teaching experience. Also, an ESL endorsement from a state body is not the equivalent of an internationally accredited TEFL certification though it can enhance your credentials. USA State Continuing Education Units (CEU) and Continuing Professional Developmental Units (CPDU). CEU: Many states require that licensed teachers earn continuing education units. Some states or school districts may recognized a TEFL certification course for CEU, but that recognition is the not the equivalent of an accreditation for TEFL certification. CPDU: Non-education professionals (e.g. accountants) may take many different types of professional classes and often need to get a CPDU credit for company reimbursement. Individual states assign these values and a TEFL certification course may qualify for CPDu credits. Again, because a TEFL class is recognized for CPDU credit does not mean that it is internationally accredited or that it meets the recognized international standards listed above. Ofqual, is the governmental department in the UK responsible for maintaining and regulating educational standards, exams and certifications. In the wild world of the Internet, many schools will say that they are accredited, and certainly some are – others are less than honest. Look to see if there is a link directly to that accrediting body's website. When visiting the website of an accrediting body, look to see how long the body has been in existence and how many professional level certifications they have actually accredited. Believe it or not, some programs set up their own “accrediting body” or a website for a faux accrediting body to make it look like their course is accredited. If you go to a website for an accrediting body and they’ve been in existence for only a year and have only accredited a handful or courses or programs, chances are that their accreditation isn’t widely recognized. Also, when looking at various TEFL courses, ask yourself, "Can I really gain a professional-level certification by taking a two-day course, or a self-taught online class with no qualified instructor or practicum?" The answer is "no." Yes we know this is all very confusing as there are no worldwide standards and there are schools that want to use smoke and mirrors to confuse they typical student. How long the accreditation body has been operating? A few years, a dozen years or a hundred years? Who is providing the oversight or endorsement of this accrediting body? -Is it the state or federal government or a long-established nonprofit with decades of experience and a recognized reputation? -If there isn't another entity overseeing an accreditation organization it may not hold much weight. How many other schools and professional certifications (not just TEFL) are accredited by this organization? Is it 10 or is it 100, 1,000? -If they include the owner, professors or "advisors" of one of the TEFL companies it's probably a phony accreditation. - Is there a physical address for the accrediting body? - What about a local phone number (not just a toll free number)? Does the accreditation site list their standards, procedures, and review process for schools? Research the accreditation URL address and see how many sites are linked to it - simply plug the url into a Google search. An established and reputable company will have many links to it. Many language schools that provide TEFL training will offer language classes that are accredited. Just because their language classes are accredited does not mean that the TEFL certification classes are accredited or meet the standards set by the British Council. 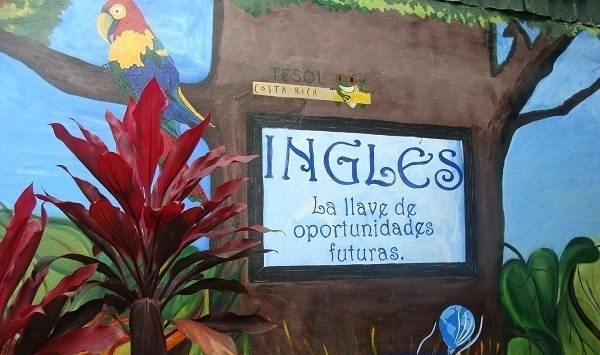 In many cases, schools make it appear on their website and in literature as if the accreditation for the language classes also applies to the TEFL training. Why do schools avoid going to the trouble of gaining accreditation? 1) Money – It's he driving force of many business decisions and some schools will pay the price for the highest quality and others will not. Costs associated with accreditation include submission fees for accreditation, annual dues, fees paid for each certification issued, fees for the examiner to visit a site and others. A quality TEFL training program will make the necessary investments to offer an accredited course. Professor salaries – Accreditation boards want to ensure that instructors hold a high level of education and experience, an MA/PhD or a Diploma, DELTA and many years of English teaching experience. Experienced professor salaries come at a cost. High quality instructors command a significantly higher wage than trainors without the necessary educational credentials and experience. Student-teacher ratio – A standard maximum student-teacher ratio is 12 students per instructor for an in-person class. Schools that pack 20-30 students in a classroom to keep their costs low are not following many accreditation standards. 2) Time – The process of accreditation typically takes six – twelve months and entails volumes of paperwork. Even after the process is complete, an accredited TEFL course requires extensive record-keeping and auditing of documents, tests, exams, course materials and more, all of which requires time and money. 3) Course content does not meet international standards – Many TEFL companies offer weekend in-person courses that do not have enough content to be accredited (100 class hours). Some companies also offer cheap online classes that are not taught by qualified instructors and do not incorporate a practicum or an accredited curriculum. Such outfits operate on a business model based on high volume with high profits and low salary time for their instructors and classroom rental. 4) Student teaching time with ESL students: - It takes considerable time, money, and resources to organize live practice teaching with actual nonnative ESL students for each TEFL class. Some TEFL schools will tout their “student teaching time,” which is in fact solely role-playing with fellow TEFL class participants (not a combination of practice with co-students and ESL students). Unfortunately you cannot fake not understanding English and pretend to be students and role playing alone is not a satisfactory equivalent of “live” English teaching. It is equivalent to a doctor not seeing real patients during their residency for 3 years after medical school, but simply “playing doctor” on fake patients pretending to be sick, have broken bones or needing an operation. Role playing can be a valuable teaching tool, but it is not a substitute for live practice teaching with actual ESL students and will not be recognized by accrediting bodies as valid practicum. 5) Graduation rates - Accrediting bodies want to know a school’s graduation rate to verify that a TEFL training school is not simply taking people’s money and then failing them or allowing them to drop out. 6) Oversight - Some TEFL training programs simply do not want to go to the expense or inconvenience of subjecting their curriculum to external analysis. They may think they are “just that good” that they don’t “need anyone to tell them.” In reality, they usually just don’t want to pay the financial costs of accreditation or risk the embarrassment of learning that their curriculum does not meet international standards. This is the same argument factories use in “self-policing themselves” with their dumping of their pollutants, they “don’t need a government organization telling them what to do” because they will do “the right thing” themselves. Note: Some TEFL courses are not designed to provide a professional-level certification nor do they claim to be. Many courses are designed to supplement a full TEFL course or to provide an introduction to the field. 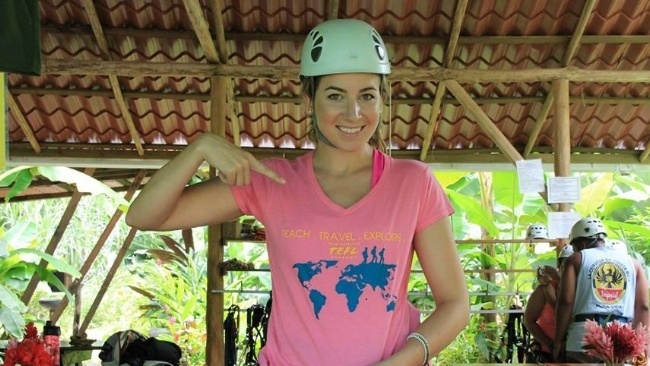 In other cases, TEFL courses may be designed to provide basic ESL training to volunteers (e.g. a weekend TEFL course to go volunteer for 3 weeks in Ghana). Any training organization offering shorter or cheaper TEFL classes that do meet professional standards should state clearly what the benefits and limitations of those courses will be. All this being said, a TEFL school could offer a quality class and not be accredited, however you run the risk of limiting your employment opportunities and obtaining work visas in some countries by taking such a class. Some schools in some countries that require a 100 or 120 hour TEFL class by government law will accept any TEFL certification regardless of the content or accreditation from anyone. But at the end of the day, taking an accredited course will avail you to far more opportunities and prepare you to be a better teacher. It's a long a windy road to choose a quality training institution in any field. By knowing the right questions you will be better equipped to make an informed evaluation that leads to the right decision for you.